If you are passionate about watching birds in the nature, you would crave for the best budget binoculars for bird watching. Well, these binoculars come with enhanced focussing capabilities, across various price ranges. With the right pair of binoculars, you can enjoy an engaging time, watching the birds in the wild. It is important to know the technical attributes that make a good binocular. You may land up in a dilemma while choosing the right pair of binoculars, with a number of options and technical specifications around.The most important aspect to note, is that the choice of binoculars for bird-watching varies according to the needs and preferences of the individuals. Prioritize your needs when you buy the pair of binoculars to make the most of your investment. You need to consider your needs when you go for the best binoculars for bird watching. The type of binoculars for bird watching depends on the area where you go for birding. The nature of the ecosystem determines the type of binocular you should buy. For instance, you would need a particular type of binocular when you visit a lake, and a different model altogether when you go to a forest for birding. Choose the right binocular to enhance your experience while watching birds. 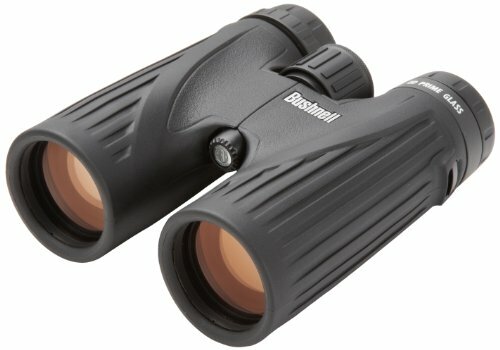 What makes a good binocular for bird watching? Magnification is one of the foremost technical attributes you would look into, when you buy a binocular for bird watching. Well, the purpose of buying binoculars is to focus on the target with clarity. Get a pair of binoculars with powerful magnification, so that you can see the distant birds with clarity. The zooming capacity of the binoculars should be maximum, so that your view can go as close as possible to the bird through the lens. However, you must note, that the binoculars with the maximum zooming capacity is not necessarily the best one. You need to focus on the clarity of the view as well. As the magnification level increases, the depth of focus diminishes to a certain extent. The field of view becomes smaller and the overall appearance of the image becomes dull. Besides, with greater magnification, it becomes difficult to hold the binoculars. If you are planning to buy the best binoculars for bird watching review, take care that the magnification does not blur the image. On an average, an 8x magnification is considered to be good for watching birds. The field of view (FOV) refers to the area covered by the lens. It is the width of the image that the viewer sees when he looks through the lenses. However, you must note, that the field of view need not be too wide.Bird watchers are not only interested in watching the bird, but also its surroundings. Evidently, you would like to enjoy a substantial amount of width in the field of view when you watch the birds. When you buy the pair of binoculars, make sure that the field of view is not too small. Another important aspect is that small birds can make very fast movements. In these cases, a wider field of view is necessary, else the bird disappears. Well, take care not to magnify small birds too much, it will make the image blurred. While buying the bird watching binoculars for beginners, get a product with high focussing capabilities. Birds make a lot of movements, so the focussing abilities of the binoculars should be high. You should easily be able to zoom to a particular point and watch the birds, as they move around. A binocular with good focus ensures that you will not lose sight of the bird while watching it, and the image remains clear. Besides, watch out for the positioning of the focussing wheel. You should be able to move it smoothly in either direction. The arrangement should be easy, so that the viewer need not take the eyes off the bird while focussing on the bird. Moreover, the focussing wheel should be smooth, so that the binoculars do not shake when you rotate it. You will come across binoculars of a wide range of sizes and shapes.The weight of these binoculars also varies a lot. You should take care of your comfort level when you buy a pair of binoculars for bird watching. In most of the cases, bird watchers opt for sleek and light-weight models. However, when you go for particular type of birding, the binoculars may be of a larger size and weight. However, binoculars have undergone much sophistication these days, and even smaller models come with good magnification capabilities. In certain cases, the smaller binoculars provide a greater visibility than the larger ones. Therefore, getting a large binocular may not always provide you with a greater magnification. Bird watchers go for compact binoculars in a number of cases, as they can easily pull them close to their eyes while watching the birds. You might find it difficult to handle larger binoculars, as they are bulky and heavy. Here, we have reviewed the best binoculars for bird watching. Have a look at the top ten binoculars for bird watching that you can choose from. 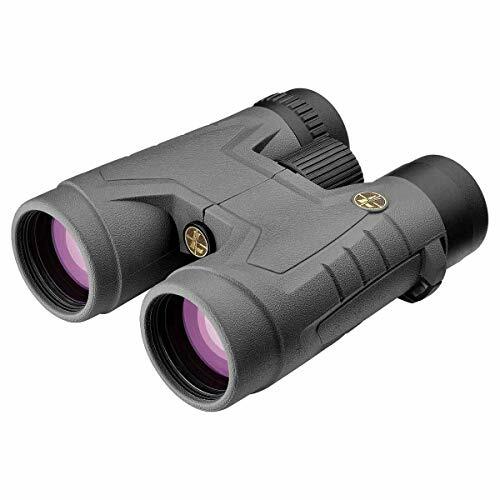 This is a great product for the bird watchers, offering a great magnification capability. 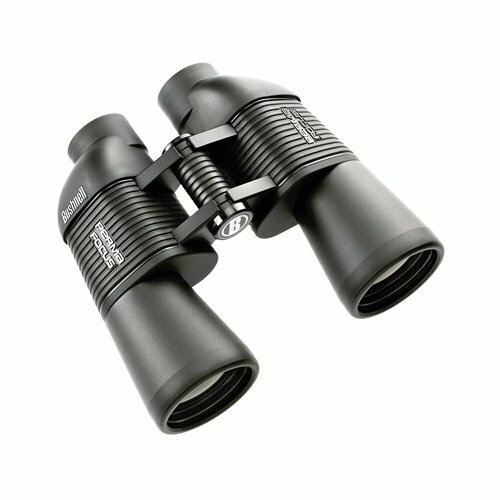 The pair of binoculars offers a high level of magnification. The 8×42 is among the best rated products in the industry. It comes with an exit pupil of 5.3 mm and eye relief of 20 mm. The binoculars have roof prisms and is one of the most popular products among the bird watchers. You will find all the features you need in this pair of binoculars. It is easy to handle and enables clear viewing of the image. The users can adjust the focus to obtain maximum clarity with ease and the binocular is easy to handle. Besides, the product comes with a full kit of accessories, including objective lens caps, binocular field harness and a padded neck strap. It enables comfortable viewing of the birds and comes loaded with every feature an average bird watcher longs for. It offers an FOV of 347 ft. This is one of the best optical instruments for bird watching in the market. The product has great focussing capabilities and it makes every little detail appear clear. The binocular comes with a warranty, ensuring a long lifeline of the product. If you are looking for the best binoculars for bird watching, make sure to check out this product. This is one of the most sophisticated models and bird watchers will enjoy a good time, with this binocular at the disposal. You can use the pair of binoculars even in the rain, as it comes protected with an HD water-repellent coating on the lens. A wet lens can cause inconvenience in watching the birds in the rain. The lens in this binocular improves the clarity of the image, reducing the effect of rain, sleet, snow or moisture. The product has got a sleek and smart design. It is lightweight and comes with a magnesium chassis. The kit comes with a microfiber carry bag, a neck strap and a soft carrying case. The magnification capacity of the binocular is 10x and the 42mm objective lens enhances the quality of images. The binoculars are integrated with ED prime glass, wide band coatings and water-resistant coating on the lens. Coming to the field of view, it is wide enough to cover an extensive area and brings relief to the eyes. It also comes with a locking diopter, which enhances the functional benefits of the product. The product has got an FOV of 340 ft. Considering the features, the pricing is perfect, and the binoculars will provide the best returns of your money. This product comes with a fully coated optics, that enable superior transmission of light and a good contrast. You will find the ‘focus free’ feature in this model interesting. This feature enables the viewer to watch objects at a distance with ease.Its one of the best birding binoculars under $100. Besides, it comes with a runner armour, non-slip in nature, which absorbs shock and provides a strong grip to the user. One of the key product attributes of this binoculars is the stunning clarity. Besides, the focus-free feature supports instantaneous viewing at any distance. This is suitable for sporting events. The binoculars offer an FOV of 294 ft. If you are a nature observer, you will find this binocular a good choice. Most of the bird watchers find it difficult to grip the binoculars, particularly in winters, when they wear gloves. The users can grip the binoculars easily, thanks to its compatible design. The binoculars have been crafted with precision and the coated optics ensure crisp and bright images. You can easily magnify the image and enjoy jerk-free focussing with the binoculars. Besides, the non-slip armours in the product, made of rubber provides a strong grip to the users. However, one of the drawbacks of the binocular that, it is not resistant to water or fog. Nikon presents bird watchers with a sophisticated model, compatible with all the terrains. Besides, it comes with eco-glass lenses and the high-quality glass enhances the view. The high-quality glass is light in weight, which makes it easy to be handled. It comes with bright and multi-coloured optics and has a sturdy, water and fog proof construction. Eyeglass wearers will enjoy the relief it brings to their eyes. The prism-coated binocular enables the viewers to experience sharper colours and bright images. Besides, it can perform well under low light conditions and bird watchers will enjoy the experience in all geographical conditions. It has an FOV of 342 ft. This is one of the best compact binoculars for bird watching. The kit brings all the necessary accessories to the users and the new design makes it comfortable to be carried throughout the day. The users get a firm grip of the binocular, even under unfavourable conditions. It comes with a 25-year no-fault repair warranty. The binoculars come with a good magnifying capability. The users can adjust the focus, as and when required without any jerk. Bird watchers will find all the desired features in the binocular. This is a light-weight model, easy to be handled. Bird watchers will love using this pair of binoculars. This model has got a number of sophisticated product attributes. 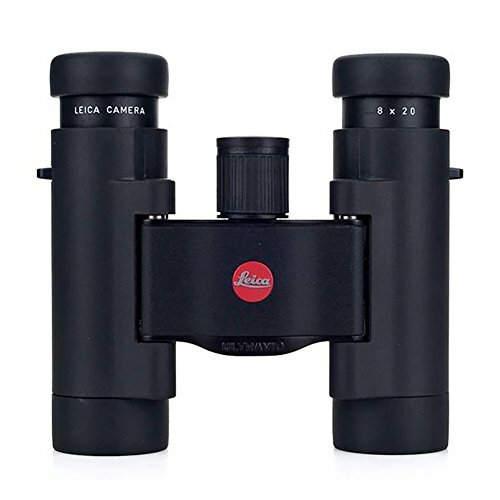 The pair of binoculars from Leica brings you a high magnification power. Its compact size makes it easy to be used. Besides, it comes with a single dioptre connection with a single knob. The binoculars are waterproof up to 16.5 feet. If you are looking for the best waterproof binoculars for bird watching, you must have a look at this product. Bird viewers will enjoy an enhanced level of mechanical and optical performance, as the eyepieces have been specially developed. The users can enjoy a sharp view through the binocular, without facing issues like deviation from edge to edge or colour fringing. The users can adjust the diopter by touching a button. It comes with a FOV of 273 ft. The binoculars come with a double hinge, which enables the bird watchers to easily fold and store it. The binoculars have got a sturdy construction and it keeps the weight down. You will enjoy the feel of the rubberized coating, which gives you a comfortable touch. The product is coated with the rubber armour, which enhances its resistance power. It has a 10x magnification capability and enables the viewers to enjoy brilliant and sharp images. This pair of binoculars is the best binocular under $300 from Acadia comes with an outstanding FOV of 367 ft. It is a product that the bird watchers will like. The binoculars have got a robust construction and it is resistant to water and fog. One of the most important feature of the binoculars is its proprietary nitrogen fill process. You can enjoy watching birds with the binoculars, as it comes with twist up eyecups. This enables the user to adjust the design as per their needs. Besides, the focussing mechanism in this device is smooth. The users will enjoy sharp and crispy images, thanks to the enhanced focussing process. The focussing wheel rotates smoothly, and the jerk-free process enhances the overall experience of the viewer. 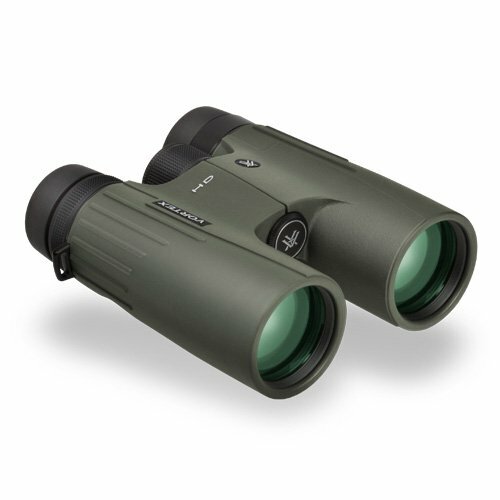 The close focus distance for this pair of binoculars is 10 feet, which enhances the quality of images. This is one of the best binoculars for bird watching, coming at a reasonable price. The product has got all the necessary features that an average bird watcher looks out for. 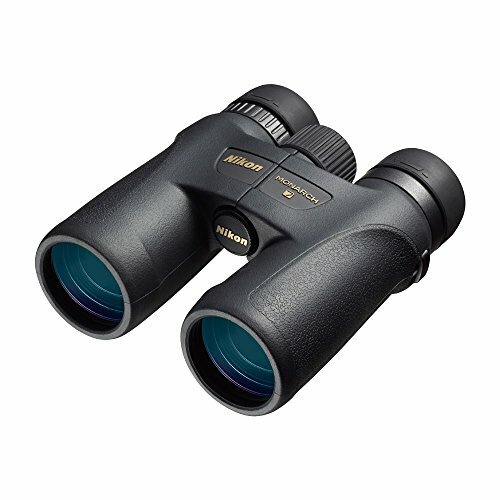 In case you are looking for a pair for binoculars for bird watching under $300 that does not require focussing, this is one of the best models for you. The binocular does not need focussing at all, and you can use the product even if you are not too good at handling binoculars. In fact, many people use this product, as they do not want to face the hassles of focussing. The field of view for this product is 305 feet, which is good enough for ordinary conditions. Considering the price, it is a good product to purchase. The optics are fully coated and it enhances the resistance of the binoculars. The product comes with a 10x magnification capability and 42 mm. objective lenses. The focus-free feature enables you to capture the birds at a distance with ease. The optics are fully coated, enhancing the light transmission capability and clarity of the view. You can get a secure grip, due to the ergonomic rubber housing in the product. It is resistant to shock and has been designed for nature observation and sporting events. The pair of binoculars come with a limited lifetime warranty. Very little adjustments are to be done, when you use this product. This is a high-end device for bird watching, with an FOV of 419 feet. This is exceptionally large, and enables the viewers to cover a large area while watching the birds. You can easily find the subject with this pair of binoculars at your disposal. It comes with dielectric prism coatings, and these are highly reflective. The multilayer coatings have been applied to all the lenses, ensuring a high contrast in the images. The color-reproduction capability of the binoculars is accurate and the viewers get high-quality images through the binocular. The product comes with a durable armoured coating, made of rubber. This makes the grip comfortable and enables the users to hold it in any condition. The pair of binocular has another outstanding feature, as the extra-low dispersion glass in it enhances the colour fidelity and brightness of the images. Besides, the roof prisms come with phase correction features, which preserve the detail and clarity of the images, regardless of the location where they are viewed. The product comes with dielectric renders of prism coating and these are highly reflective. The binoculars have also got a multi coated anti-reflective lens-system. The nitrogen-filled housing feature delivers with a high-grade fog and waterproof operation. With a field of view of 429 feet, this is one of the best optical devices a bird watcher can get. 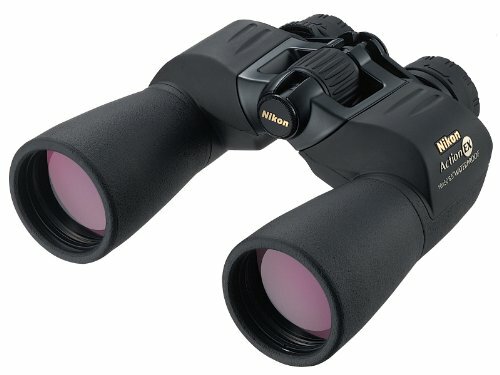 Nikon brings you one of the most sophisticated pair of binoculars for watching birds. It has got a sturdy construction and comes with fog proof and waterproof features. The bright and multi coated optics enhance the quality of image for the viewer and refines the overall experience. If you are looking for the best binoculars for bird watching, you should have a look at the product. People who wear eyeglasses experience a comfort, even after using the binoculars for long. The product has been built to relieve the eyes, and the price of the pair of binoculars is higher than many other products. However, considering the enhances features of the product, the price gets justified. If you are an avid bird watcher, you may get this product. It comes with dielectric prism coated features, which covers multiple coating. The viewers enjoy sharper, brighter and crisp images. The binoculars work well under low-light conditions and you can use it in all types of terrains. The product offers a firm grip and comes with a 25-year warranty when you purchase it. Zeiss Conquest comes with 8x magnification. It offers a close focus of 6.5 feet. This is a good device for the bird watchers, considering the features and price. The FOV of this product is 384 feet and it produces good quality images under all conditions. The pair of binoculars provides an eye relief of 18 mm. The HD binoculars will refine your experience of bird watching. The product comes with a compact design, that makes it easy to be handled. It is a lightweight device and the bird watchers will enjoy an optimum level of comfort while using this product. This is one of the best binoculars for bird watching and has got high-quality lenses, that refine the overall experience of the users. The focussing knob rotates smoothly, and the bird watchers can adjust it easily. It does not produce jerks, which enhances the performance of the binoculars. You will get a 5-year no-fault warranty with the product. You will be able to choose the right product for bird watching from this list. The binoculars for watching birds come across various price ranges. When you buy the product, have a look at the features, especially the field of view and the terrain where these binoculars work the best. Buy the best binoculars for bird watching to leverage your bird watching experience.